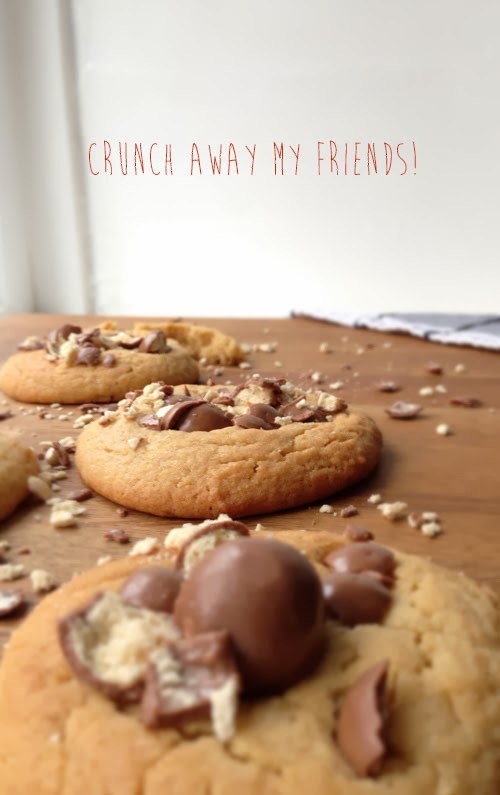 Okay I know all of this sweet baking is becoming a bit of habit but how could I resist making these Malteaser crunch biscuits!? 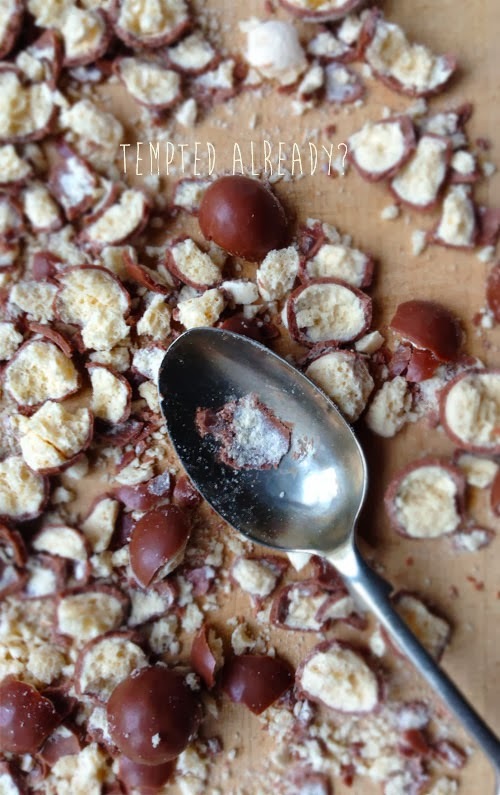 They are so easy to make and with minimal ingredients, plus I had the added bonus of relieving some stress using a vintage spoon to crush the Mateasers ready for the biscuit topping. Preheat the oven to around 180 oc /Gas mark 4 and line two baking trays. Mix the butter together with the caster and muscovado sugars until creamy then add the eggs and the vanilla extract until the mixture becomes fluffy. Slowly add the flour until the mixture is nice and thick. Spoon or freestyle 6 blobs of the mixture onto each tray and bake for just under 10 minutes. Meanwhile crush the Malteasers up, leaving a dozen or so whole & untouched and place to one side. 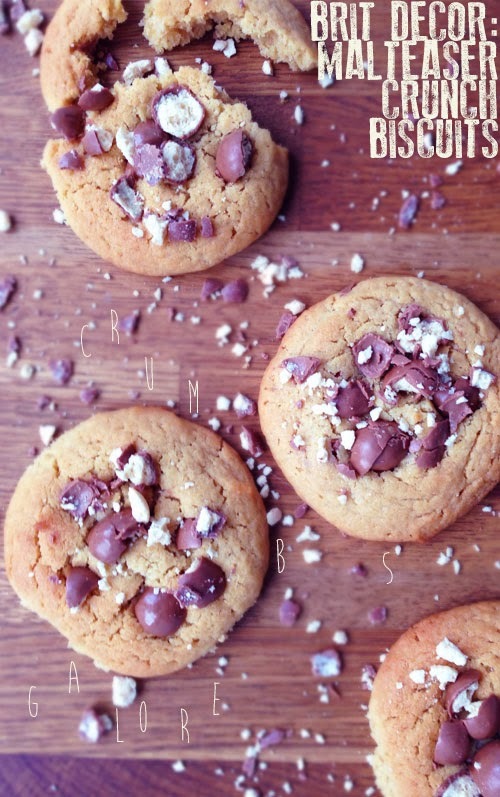 Remove the biscuits from the oven and press the whole Malteasers into the soft biscuits. Then sprinkle over the remaining crushed chocolates. Yes it really was that easy!